Diesel isn't a type of vehicle - it's a type of engine. While most commonly associated with trucks and other high-power, heavy-duty vehicles, diesel engines have also been installed on SUVs, sedans, crossovers, and even some compact vehicles. The basic design of the diesel engine has been around since the 1800s, though it's received significant improvements over the years to enhance its power and overall efficiency. These engines have remained viable throughout the decades, serving as a steady companion to the more-popular Internal Combustion Engine seen on most passenger vehicles. Diesel engines aren't just ICE with a different type of gasoline, though - there are some significant differences between them. The most significant advantage is that diesel fuel has a higher energy density than gasoline - in effect, it takes less fuel to do the same amount of work. Depending on the efficiency of the engine, diesel fuel is about 10% to 15% more efficient than gasoline. As if that wasn't enough, diesel engines are about 15% more efficient at converting the energy into mechanical power. Together, these factors allow diesel engines to go about 20% to 35% farther on a single gallon, making them ideal for long-distance movement. Diesel engines also tend to be more reliable than their ICE counterparts - with no need for high voltage electronics, diesel vehicles are better in damp environments. The straightforward, high-powered construction gives the engines better longevity, too, with diesel engines typically lasting twice as long as their gasoline counterparts. Traditionally, diesel fuel exists as a fractional distillate of petroleum fuel oil, but advances in technology have seen the introduction of viable alternatives to petroleum. The most popular of these is biodiesel, which is produced by plants or animals to create a renewable source of energy. In most cases, biodiesel can be used in standard diesel engines with no need for additives or alterations, though some companies prefer to blend it with petroleum-based diesel (often called ""petrodiesel"") to help keep costs down. Other fuel variants include biomass to liquid (BTL) and gas to liquid (GTL), which respectively turn grasses and natural gas into viable diesel fuel. Neither of these is as popular as biodiesel or petrodiesel, but ongoing research and studies hope to change this. Thanks to all of these advantages, diesel engines aren't likely to disappear from the market anytime soon - especially when it comes to transporting heavy items over long distances. Battery-powered vehicles may become more popular someday, but the ease of producing biodiesel gives countries an effectively unlimited supply as long as there are power plants to create it. Listed below are the diesels that received the 2019 J.D. Power award for highest quality, based on verified owner feedback detailing the number of problems they experienced with their new diesels during the first 90 days of ownership. Listed below are the diesels that received the 2019 J.D. 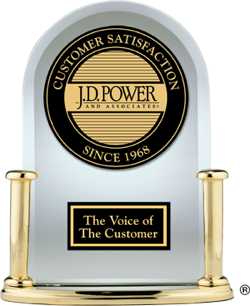 Power most dependable award based on verified owner feedback detailing the number of problems they experienced with their diesels throughout three years of ownership. The fewer the number of problems reported, the better. Listed below are the diesels that received the 2019 J.D. Power award for best performance based on verified owner feedback after 90 days of ownership.